When School of Nursing and Health Sciences professor Karen Teeley prepares for each new semester, she draws on twenty-five years of nursing experience and more than twelve years of experience teaching blended courses. Recently, Professor Teeley has expanded her toolkit by adding a set of short, reusable introductory videos that help to engage new students. The videos are created using Tegrity Campus, our fully automated lecture capture tool. Tegrity provides Simmons faculty with on-demand access to recording services for their courses. Faculty can capture lectures, demonstrations, guest speaker presentations, and other in-class elements for use by their current students and in future courses. Recorded course content is typically associated with the so-calledflipped classroom (PDF), which many professors at Simmonsemploy to varying degrees. But even if you’re not ready or interested in repurposing your class time for non-lecture activities, capturing content can be a great way to make additional resources available for students or to address complex topics that don’t fit into a single lecture. 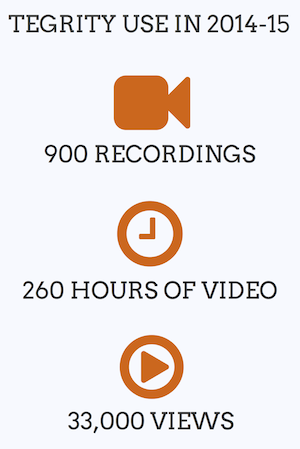 In fact, Simmons faculty have used Tegrity to record more than 260 hours of content which students have viewed 33,000 times. 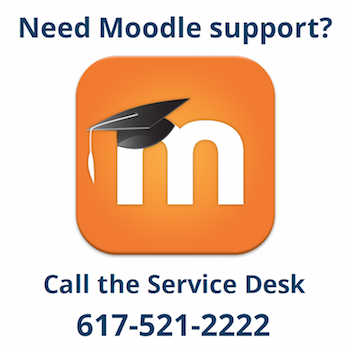 Recordings are initiated and shared via Simmons Moodle, enhancing online course content and providing students with additional resources outside of the classroom. If you’d like to try using Tegrity to record videos for your courses, simply enable the Tegrity block in Simmons Moodle. From there, you can begin recording and sharing immediately. We’ve created brief introductions (PC and Mac) to help you through any technical challenges, and our Service Desk technicians are available to answer your questions.